First Special Housing Areas announced. Yesterday the council and government announced the first batch of special housing areas (SHAs). For those that don’t remember the special housing areas came about as part of the housing accord the government agreed with the council a few months back. In the selected areas the recently notified unitary plan comes into effect straight away and the council will have a fast tracked consenting process. 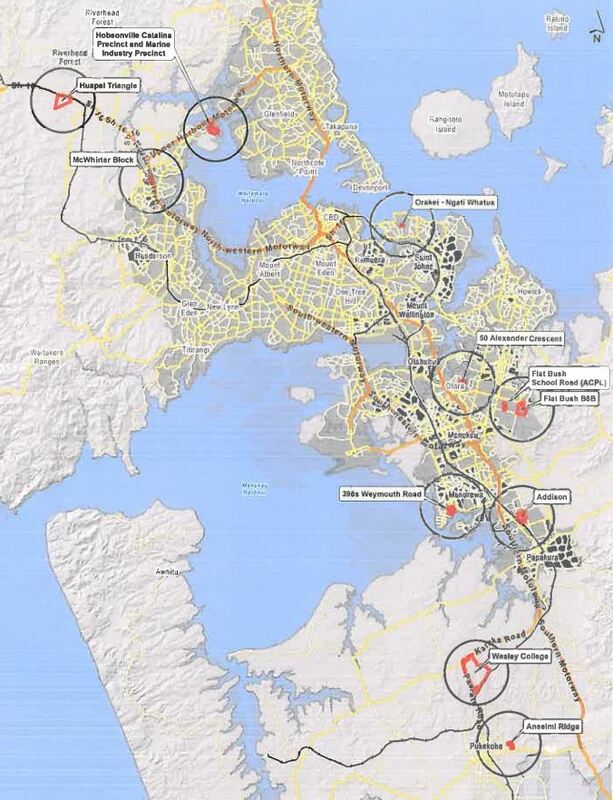 The special housing areas were one of the reasons why the council needed to get the unitary plan notified as soon as possible as if they had put it off, the government was likely to step in and open up land themselves. Here is the press release. Housing Minister Dr Nick Smith and Auckland Mayor Len Brown today announced the first batch of Special Housing Areas that will progressively bring to market 6,000 new homes across the city under the Auckland Housing Accord. “Land supply is the most critical issue we must address to improve housing supply and affordability in Auckland. This first batch of Special Housing Areas will bring 6,000 sections onto the market and is a significant step towards the Auckland Housing Accord’s target of consenting for 39,000 new homes over three years,” Dr Smith says. Dr Smith and Mayor Brown made the announcement at the Huapai Triangle Special Housing Area in Kumeu, which has the capacity to accommodate 2,000 new homes. 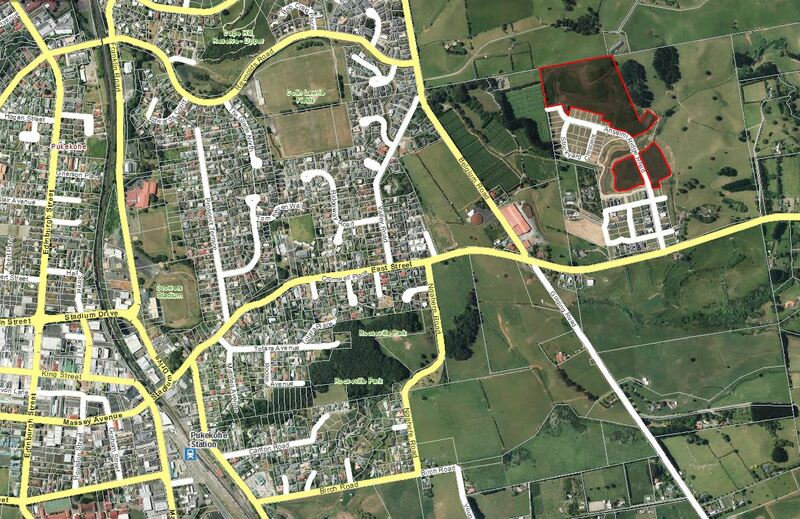 The Special Housing Areas have been recommended by Auckland Council and provisionally approved by Cabinet. They take legal effect once formally approved by the Governor-General by Order in Council, expected before the end of October. 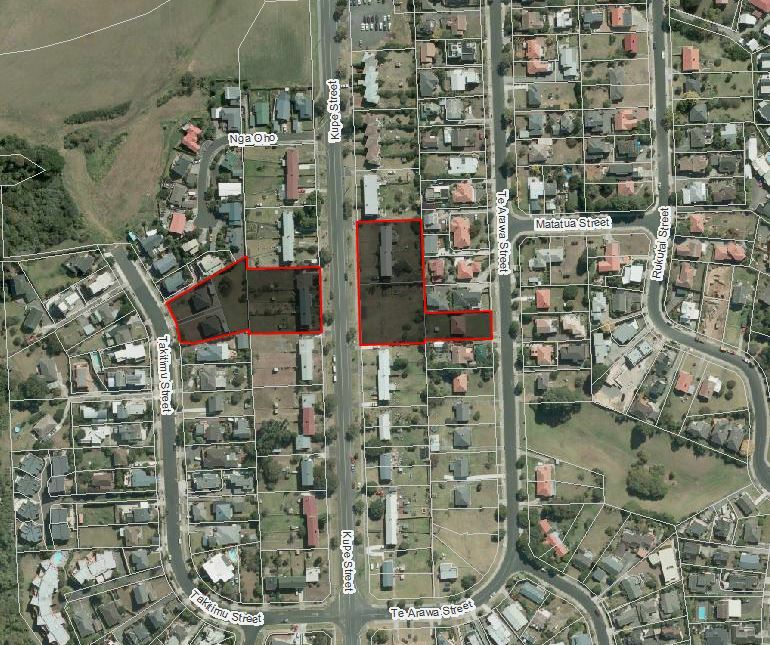 Applications for subdivisions will then be able to be considered by Council under the fast-tracked mechanisms in the legislation which requires approvals within six months for greenfield developments, compared to the current average of three years, and three months for brownfield developments, compared to the current average of one year. “There will be requirements across the Special Housing Areas for a proportion of the completed homes to be in the more affordable range. This will vary from 100 per cent in some areas like Weymouth to a smaller proportion in others. The details of these requirements will be resolved with the processing of qualifying developments, as provided for under the Auckland Housing Accord,” Dr Smith says. “Alongside freeing up land supply, we need to constrain the impact of development contributions on section prices, get better value for building materials, make efficiency improvements in building consents, and improve productivity in the construction industry. The Government is also helping Auckland home buyers by expanding the Welcome Home Loans and KiwiSaver First Home Deposit Subsidy schemes. There are a few surprises in there which I will go through shortly but at a regional level, here is the location of the SHA’s. I’m going to work my way from North to South. This one is one of the more interesting SHA’s. 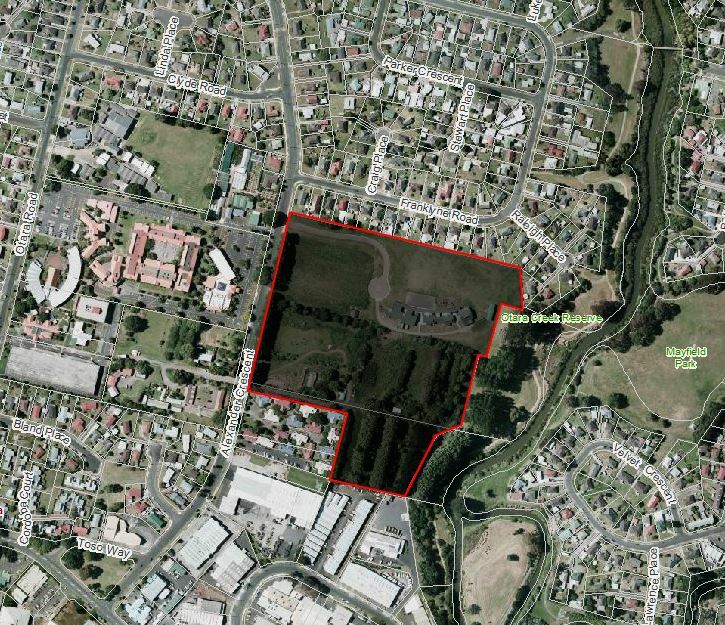 There is quite a bit of land around Kumeu that is already zoned for single housing but that is yet to be developed but instead of enabling that to happen easier, a section of land marked Future Urban has been selected. Possibly it’s due to the owners of the site wanting to develop already but straight away it seems to make a bit of a mockery of the Unitary Plan process by picking land that doesn’t even have any effective zoning. 2000 houses is actually quite a substantial amount and easily the biggest of the SHA’s announced today. Assuming that about 20% of the land will be needed for roads, parks etc, it suggests that each dwelling would be about 260m² which for the area is actually quite dense suggesting we will see a lot of tow/terraced house type dwellings going in here. 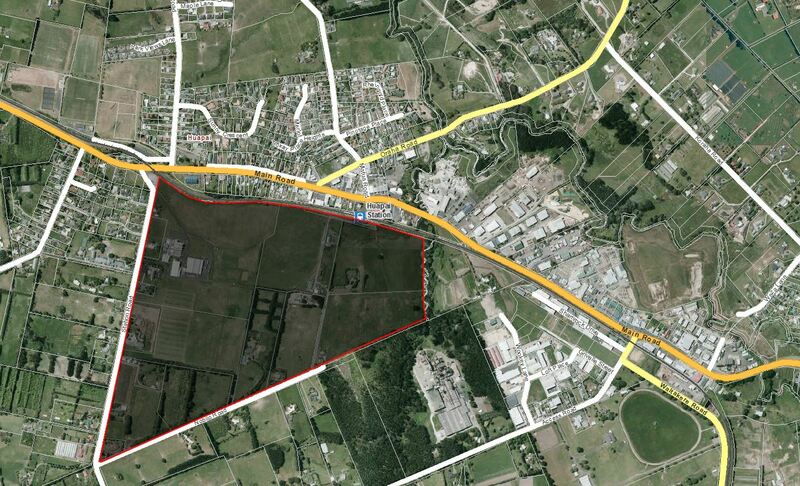 Interestingly this one development will almost triple the size of the population in Huapai/Kumeu as based on the 2006 census there were only 690 dwellings in and around the township and that includes quite a few rural lifestyle and farm houses (due to large meshblocks). 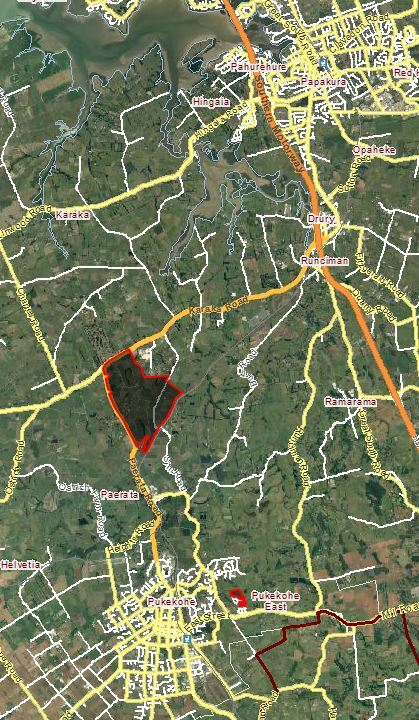 Hopefully this can be designed well and help turn Huapai/Kumeu into a neat satellite village – but it will take a lot more than just more houses to do that. The biggest issue for this development is likely to be the impacts it puts on the transport system. I can already see the government announcing that instead of investing in the CRL they will start fast tracking an extension of the NW motorway. I can also see some suggesting that it will change the situation around what happens with the rail network and that we should now leave Waitakere open and extend rail services to Huapai. Personally I don’t think this changes that as it doesn’t change the fundamental issue with the rail network in that it is simply too indirect. It might be ok if thousands were going to Henderson and New Lynn but most people won’t be, instead they are more likely to be going to the CBD, the new centre at Westgate, Lincoln Rd or to the North Shore. Personally I still think the best solution is to put the North West busway in and extend it to Huapai with it happening before any motorway expansion. This is also what we have suggested in the Congestion Free Network. Again another one that is not surprising but it will be interesting to see how some of the neighbours react when they realise that this is the start of Iwi making much better use of its land by building affordable housing for its members. Based on the number of dwellings these are likely to be apartment developments (they are in the THAB zone too) and I would suggest the sites picked are just the first of many. 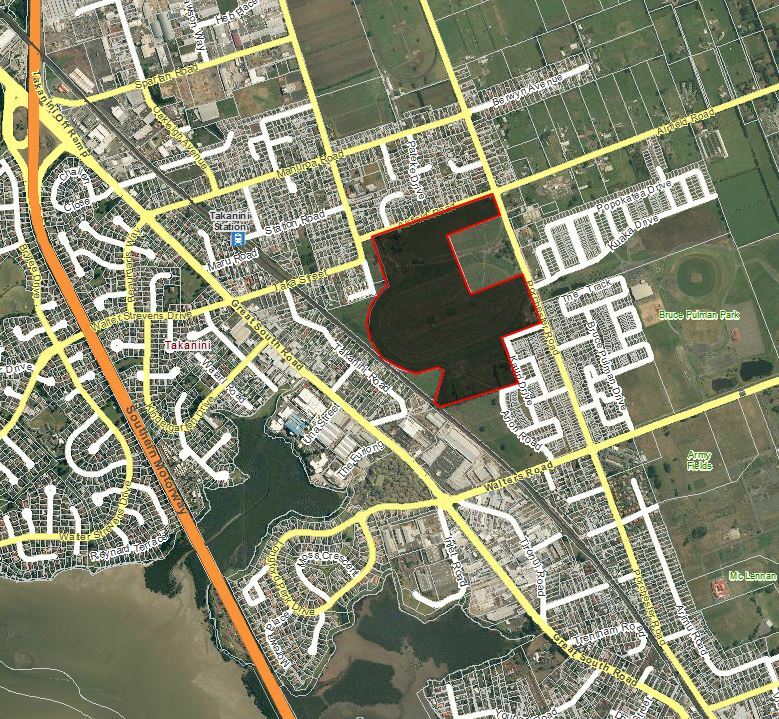 Both of these sites are fairly close to what is meant to become the Flat Bush Town Centre, the Flat Bush School Rd site (on the left of the image) is zoned THAB and the numbers suggest sites will be just under 200m² which is similar to what we are seeing go in at Hobsonville. If that’s what happens here then the outcome might be ok – however the key will be in the design and how the development interacts with the town centre. The Flat Bush Murphys road SHA has THAB zoning on the Northern, Western and Southern edges with mixed housing suburban covering the rest of the area. The numbers in the press release suggests that there would only be 275 dwellings on the site and that equals about 1100m² per section – absolutely massive and stupid with that zoning. It is possibly that this isn’t the full story though, a couple of reasons I think this could be, one is that it’s a typo and that it is meant to be 1275 homes (which would put average site sizes at 237m²) or two that the developer only intends building 275 dwellings in the three years of the housing accord but that more will eventually go in. This is another development that isn’t a surprise to see on the list. The numbers suggest site sizes of only 500m² but as with Flatbush the number might only be the amount intended to be built over the next few years. I’m pretty sure it is the same developer as the rest of Addison and there are some lots there less than 150m² so I can’t see them all of sudden changing dramatically what they are doing. The site is also near the Takanini station near where the developers want a Walters Rd Station. Like Huapai this is another interesting site as it is current zoned future urban and sites in between Drury and Pukekohe. Again I suspect it will eventually hold much more than 1,000 dwellings as the numbers otherwise suggest site sites of over 2,000m². One thing is it surely makes the need for electrification to Pukekohe even more urgent. As this is completely greenfields it will be crucial that the council are deeply involved with this to ensure we actually get an outcome that is not just a heap of houses with no amenities (wonder how much those will cost ratepayers). At this stage it really does appear to be a exactly the kind of thing that most people in the region were hoping wouldn’t keep happening and the only slightly redeeming feature is that it is at least on the rail network (that will have services). This is another classic sprawl development and some of it has already taken place. Further the zoning in the Unitary plan allows for up to mixed housing suburban on the site so really this SHA is just allowing for the development to happen a little bit faster. The large sections to the North, East and West of this development are also zoned MHS so it wouldn’t surprise me to see them become SHAs at some point in the future too. There was also an SHA announced for Weymouth last week. It is for 282 dwellings on 16 hectares of land which equates to about one dwelling per 450m² which is about the size for many single house type developments these days. Basically sounds like it will be a typical suburban housing development. Overall I’m a bit disappointed in the outcome so far. Most of the sites are within the existing urban boundaries and so would have been redeveloped at some stage however the thing that particularly disappoints me is the lack of sites for redevelopment. For example I had expected we would see some sections around Glen Innes and Panmure on the list as redevelopment is due to happen as part of the Tamaki Transformation project. Hopefully the redevelopment SHAs will come in the next batch which Nick Smith has said is due before Christmas, I’m not holding my breath though. Usually quite a lot of land needs to be used for stormwater, open space and streets so it can be tough to work out what the densities will be. Wonder if there’s value building a station for the Wesley College SHA in advance of electrification. Surely the developer would realise how essential a station is to the success of the development and perhaps even pay for it. My bad. Thanks. Didn’t recognize it – it’s tiny! I thought they might be going for the bigger, empty green spaces at Orakei. But those sites pictured could well do with some intensification. Of course a busway will be shorter in distance to the CBD, and I support a busway eventually being the preferred option, but unless there is some secret NZTA / AT negotiations happening behind the scenes, any NW busway to Kumeu will be 2020 at the earliest. In the meantime, to develop the town as a transit oriented ‘satellite’ there will need to be some form of reasonable PT. Not using an existing piece of infrastructure would appear to be silly. The NW is already backed up past Westgate in the am peak now, so how do you propose to get buses around that in the near future? My guess is that an average first home buyer would not buy too far away from where they work (no more than 30mins away). 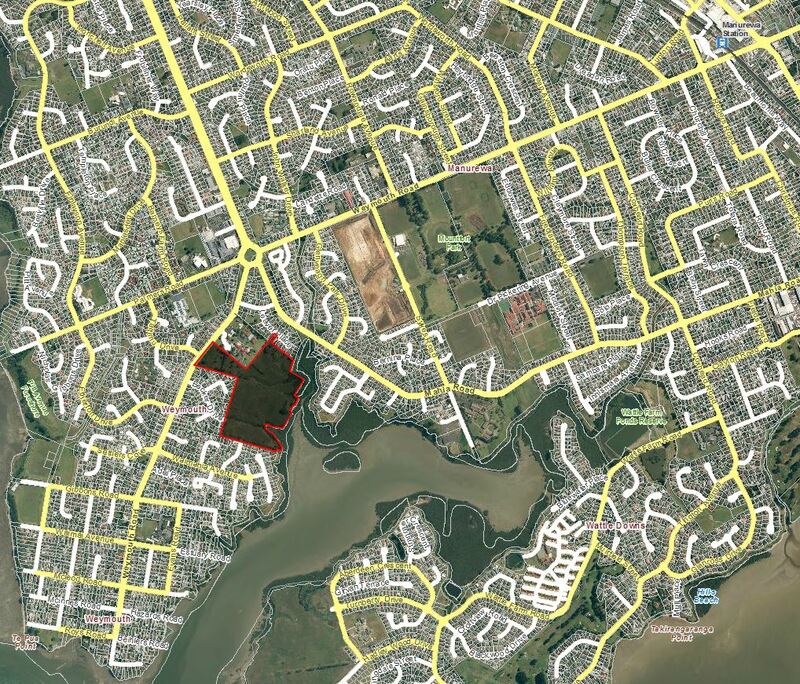 So Huapai buyers would more than likely work in Henderson, Rosebank, New Lynn and Albany. When I worked in Highbrook many workers there lived further South and hardly any out west. Unless PT ever gets to a standard of a proper city and things might change. Given the level of traffic on the NW motorway, I disagree. Purely unscientific of course :-). given the blazing signs on it for the last few years advertising it as prime development land suitable for housing or retirement home. also a site a little further down Porchester Rd which was an old horse stud/racing track that recently sold and has the diggers and bulldozers on it…..
totally not a surprise with Addison …….. The Addison news was interesting and it seems someone wanted it sped up. As for the piece further down Porchester Road that is going to be flipped over into light industry so least there will be some jobs (apart from Takanini Village) near by. Emergency Housing Units – err usually those are built after a significant area gets levelled by a natural disaster…..
And never knew the Government over-rode anything there as if it did then we would be seeing the threat of Commissioners from Government by now. Basically all this SHA announcement did was bring things forward somewhat and give things a small boot. take long given the likely increase in traffic across that level crossing (foot, cycle, car etc) for there to be safety issues. Given the new trains will be quieter too. That AT request has myself and locals FUMING with AT as such a request. Especially as Government seem to have committed 50% towards to $2.86b deluxe CRL package which included Grade Separation of crossings and I believe some more EMUs. So in my eyes AT can ask the Council to take a Loan, separate out the crossing and get Glenora built all by 2017. Although AT will still not move on Glenora until Te Mahia is closed which puts me at loggerheads with the Manurewa Local Board. I want that station gone regardless of anything else for various reasons let alone to get Glenora built. I’d agree Ben. Unless the Walters Road grade separation is providing an asset for the sole use of the residents of the new development this is clearly something that should be covered by general rates and a share of the development levy this developer will pay for this site. Auckland Council and offshoots can’t have it both ways. For what it’s worth I’ve just sent probably my third complaint email to both AT and Kiwi rail regarding Glenora station + walters rd for this year. I’m in precisely the same boat in regards to Te Mahia, theres so many reasons to close the damn thing, that I won’t go into because we all know them. I’d be more impressed with your statements if you then didn’t fall to whinging about “deluxe” CRL projects (oh, wait, they build a brand new rail line for really high frequencies, and dare to propose it be without level crossings? Those bastards). Also, the funny thing is that you talk as if the CRL was all approved and “comitted”. Yeah, this government has been all behind this project all the way, and is throwing you under the bus for it. Seriously, it helps be taken seriously by arguing seriously. Make your case on your own merits, not by trying to drag another project down. well yes – we vaguely looked at Addison when buying- but not our style – and though older and more upkeep due to that – I feel we got better value elsewhere in the end though time will tell on that one, mind you the lack of decent public transport around there was a factor in that not being an option…..but not a major one actually in this case. certainly we will have to agree to disagee re TeMahia – I am certainly for it staying (for various reasons which it would be pointless to rehash here)………unfortunate that one has to go before another built ……but of course they won’t want to crowd the lines with stops ……….Anyway I voted with my vote on that one – person who co-ordinated the save TeMahia efforts is running for local council ……..from all my dealings with him irregardless of the TeMahia issue he has certainly impressed me with a positive inclusive can do attitude, consideration for people from all walks of life and a strong focus on public transport ….so I hope he does get in …..
Starnius – my initial reaction was the same to the comment about the CRL. However, I think what Ben is saying is that if the $$ for the CRL is committed by the government (as they say it is) and that is to include grade separations (because of course all the costs are lumped together to make the CRL look super expensive – unlike parcelled up road projects) then why not spend that money now on an obviously dangerous crossing? I dont think it was an attack on the CRL – more a call for the easy parts, like grade separation, to start now. AFAIK from his blog, Ben is all for the CRL. I hope that is a fair assessment of your comment Ben. Except the CRL works have never involved removing all level crossings. The previous business case only talked about the need to remove a few key ones that would have been severely affected by increased frequencies e.g. George St in Mt Eden. Thanks for that goosiod 🙂 It was a fair assessment and I meant in no way in attacking the City Rail Link at all – so apologies if any misrepresentations from me there. I am 110% behind the project although I have the gut feeling the start date will be 2018 – but that is just a feeling. As for Matt’s remarks I’ll rephrase that key statement I made earlier: “Especially as Government seem to have committed 50% towards to $2.86b deluxe CRL package which included Grade Separation of SOME crossings and I believe some more EMUs. Of further note while I am following up with AT I am aware that the said body are busy with a Grade Separation Study AND (separately) a joint feasibility study with the Addison/Takanini Village Developer on grade separating Walters Road as well as building Glenora Road Station. This along with the Case Study for the Manukau South Rail Link (hopefully due back to Council next month) and I am tapping my fingers here quietly as it all takes what seems like forever. interesting to note that both Porchester Rd sites will be light industrial …I knew the site over the road from the horse farm was heading that way ….but had no idea that site was too – though its not too surprising ………. Re the fast track of Addision – well I guess I am not privy to the inner workings of the wonderful world of consents – did look to me like that site had got off the ground already though given the roading and all so I am not convinced faster is going to be that much of a difference really ……..
Re the more people wanting south – as a family member says ” I wish they would stop pointing it out -I would like to be able to afford to buy in Papakura one day ! ” They are on a decent mid-average income but a one income family while they have small charges and for them an influx of people South might be a bad thing if it drives prices up……………And my point being here too for them this so called “affordable” housing area is not at the moment attainable with young kids and student loans and now the 20% deposit scheme ………of course new developments in the area may level that possible influx issue out …….. In other words we will get the rest of the ratepayer base to subsidise these developments. If this was done another way (say the developer paid their dues for infrastructure, this was passed on in the purchase price and then the council gave each new homeowner so form of relief for the extra cost as a cash payout) we’d be hearing about how socialists had taken over the place. But apparently this cross subsidy in this form is fine. Hopefully the meetings will be to discuss how best to welcome their new neighbours but I suspect not. OH NO! There’s people coming into our neighbourhood who can’t afford pay more than 500,000 for a house!!! They probably won’t even, you know, be able to afford washing themselves. W will be overrun by savages! Lets see how long it takes until the “affordable housing” is discussed in the same way as Housing New Zealand homes (not that that would be any more than propaganda – my house is surrounded by HNZ properties and the people living there are nice enough, decent family folks). Well fair enough. I heard some of those HNZ people didnt even go to private schools. That may just be a rumour though. Eww how GHASTLY. I just don’t understand these poor people. I mean, if they’re so short of cash why don’t they just sell some shares or something? From what I know there is meant to be a new station developed as part of the wesley development, but I think that will only happen when electrification to Pukekohe happens which could be 10 years away. That land on Alexander Cres is half made up of a school so I expect the 150 houses would only be put on half of that land which would give smaller lots. I support housing developments in Kumeu. I support them in Mt Eden as well. You might need to turn on your irony detector Bryce. Perhaps. Lack of emotion is a failing of the internet. I dunno. I see plenty of emotion in the NZ Herald online comments. Very few facts or reasoned opinions though. This guy has been here before, coan’t remember if trolling or stupid. I certainly agree about following up with AT, please keep us informed. 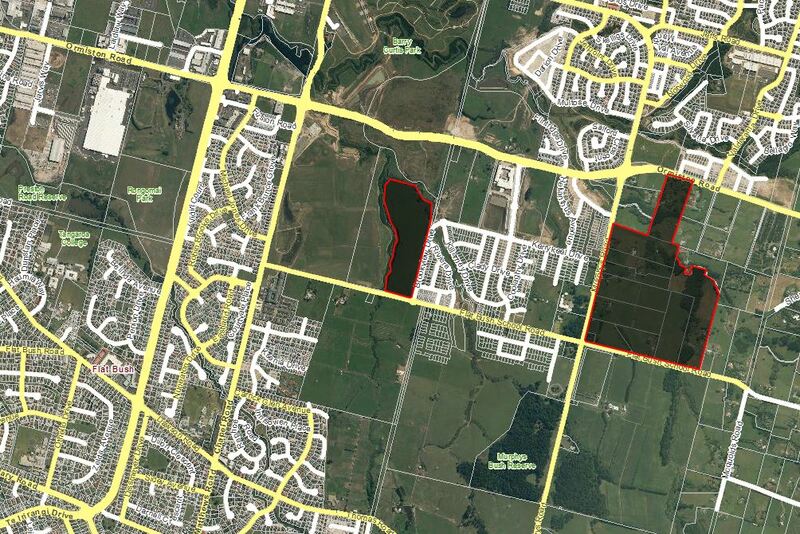 Personally, I’ll be sending yet another letter to AT in regard to Walters road and also the proposed Glenora Station. Did you also see the newspaper article regarding the study currently being undertaken into the feasibility of the Glenora station? Yes I saw that last night on Glenora when the Papakura Courier arrived last night. As mentioned earlier I followed up earlier this year with the head of Planning and Strategy from AT on this, seems I might do so again next month as well. What is happening re Wesley College? Have not heard news of it closing or moving. Seems like some creative marketing with Alexandra cr. looks like otara to me but they call it east tamaki. The streets they are walking down will surprise some people. Good point. It is Otara to me as well. Even the Council website calls it Otara! Indirect geographically, but faster than buses via Westgate nonetheless. This is just the beginning, and a strong one at that, of very large growth around Kumeu, and with a railway station right there already. Greater growth than down south in the Papakura-Pukekohe corridor in fact. Getting the trains to Kumeu asap is a no-brainer. We need to ensure this growth is transit-orientated, and you’ll never achieve that to the same degree with buses. Without the trains, Kumeu will just become the next big car fest. PS, does anyone know why when I post, the sunset image pops up? That hasn’t been my Facebook profile image for some time, but the transport blog website seems to have saved it somehow, as it keeps using it, no matter what I change my profile pic to. Is there any way I can stop it from appearing? The only reason that the rail line is faster than a bus is because the rail is grade seperated and the bus is not. High quality bus lanes would be able to do the trip in less than 50 minutes, westgate to Britomart is a comparable distance to Albany to Britomart, and the max length is 30 minutes on the NEX despite mixed traffic sections. Sure, if you throw hundreds of millions at it. Or you could spend a fraction of that for a decent rail service. $20m is a small ask, when $120m is planned for Puke rail, where less growth will occur. Who said it was hundreds of millions? NZTA is right now building bus lanes on the Northwestern Motorway widening project for relatively tiny marginal cost added to the project. I think you are quite wrong on less growth in Puke too, the last plans I saw had 250,000 Aucklander living south of Papakura in two decades time, all clustered along the rail line. How many around Kumeu-Huapai, maybe 15,000 in the same period? You’re not going to get transit oriented development off the back of a once an hour diesel shuttle to Swanson, just how much taxpayers money are you planning to spend on infrastructure and services to create ToD conditions? Even with trains Kumeu is going to be a roads feat, who is going to sit on a train for an hour and twenty minutes to commute to town, and if your not serving commuters then who are you serving exactly? Not sure where you get 1 hour 20 minutes from. Train from Huapai to Auckland, including the transfer, would be about 1 hour 5 minutes. Buses are 1 hour 30 minutes. The old Helensville train used to get all the way to Helensville in 1 hour 28 minutes. Trains out west are packed on weekends with a 1 hour frequency. But with a modest upgrade, you could have a 30 minute frequency to Huapai anyway. Financially, it’s a tiny drop in the bucket compared to projects like building a busway from scratch, or extending the motorway. And the motorway will be extended, right through to Waimauku, sooner rather than later. The road builders won’t muck around to ensure how transport trends develop out there. Our job, as PT advocates, is to make sure choice is provided as early in the growth period as possible, and to make sure it isn’t just roads, roads and more roads. I was accounting for the wait time of an hourly service, and being generous at that. FYI the bus is currently timetabled at 52 minutes from Kumeu to Customs St, with the bus priority it would get down to around 30 minutes. You’re comment about spending millions might be appropriate if anyone was building a busway from scratch for Kumeu, but they aren’t. The busway would proceed regardless to serve the 100,000 odd residences of the northwest and upper harbour areas that are remote from any rapid transit. Kumeu gets to use it for nothing, in fact it would make the operations of the existing bus far cheaper and faster, effectively you could almost double the speed and therefore frequency of the buses without any more vehicles or drivers. So with the busway, it costs nothing to provide a service that is twice as fast and twice as frequent. Compare that to the rail option, there you are running a 15km rail line just to serve the station at Kumeu. There is a lot of capex up front that is only needed to serve that one station, and only that one station benefits from it, just to serve perhaps 2,700 residences. It’s also a lot of operational expenditure, extra opex that has to come out of the budget somewhere. Unlike the bus situation where you need no extra opex to get almost double the service frequency, you’d need an order of magnitude more operational funding just to run one train an hour. One train that goes the long way round to where most people are headed. I don’t know about your job, but my job is to promote an efficient transit network that will actually get built and will be possible to operate. My job isn’t to say “I have an emotional aversion to buses because I’m very fond of trains, so I’ll demand trains everywhere even when they are the worst option”. There are only two outcomes to that stance, you demand trains and end up with no rapid transit because you can’t afford them, or you demand trains and do end up with them, using all your budget building and running a very expensive service that few people use, and killing any chance of getting rapid transit that functions well. Nick…and once the CRL is built, should all your passengers want to go to Downtown Auckland, they will be able to do that quicker than the 1 hour 10 mins from Kumeu. And the CRL will probably be build before the busway out west. I am totally for both the busway and the rail extension to Kumeu. However, having lived and still living in countries with excellent PT, I have seen where two public transport modes are offered, serving DIFFERENT parts of a city or region, but both ENDING in the SAME location. I am not sure why you just do not get it that this is what Geoff and myself are proposing. The thing is as opposed to the busway, the rail line is there, the station is there, the railcar units are there, in place, NOW! Like Jon, I have never viewed Kumeu rail and the busway as offering the same service. They are two completely different catchments. Kumeu rail is actually still on the current Auckland Transport Rail Development Plan, and it got on that plan in the first place for some very good reasons. AT have been asked at top level to explain why a key component of the plan has been ditched without public consultation, or even an announcement to say that it has been ditched. Despite my best efforts, Dr Levy has been unable to provide such an explanation, and I think that goes to show that the points I have raised actually can’t be easily refuted. In particular, the exclusion of roading costs from PT planning. Any cost of providing a rail service should be offset against the cost of additional vehicles on the road, and ideally, against wider social costs (crash reductions etc). There is also a problem with the stated capital cost of setting up the rail service. The DMU’s do NOT suddenly need an overhaul before day 1, and Waitakere station does NOT need to be standardised with all other stations at a cost of $1.5m. It operates just fine as it is. The true start up costs of the service are actually quite low. To me it is all in the timing of the new development. If it is intended to happen sooner rather then later then a temp service for a few years on the existing PT corridor would be a good idea until we can get the new PT corridor built. I’m not confident we will see a NW busway before 2020. That will be too late. The benefits of the busway will be the junction at Westgate and the ability to transfer to a North Shore bus or a city bound bus. (I also think a Silverdale – Auckland service should terminate at Constellation as that is another junction and gives a multitude of options). To delay in providing quality PT to the area is to play into the hands of the motorway lobby. It does not and will not need a 4 lane road to Huapai. I get exactly what you are proposing. The rail line would give good service from Kumeu to Henderson, if not the city centre. However it has some large capital costs involved in modifying Swanson station to be able to terminate diesel trains from the west while still laying over emus on a ten minute headway on the western line (I.e an extra platform). It also cost a lot in opex to run a diesel shuttle line from Kumeu to Swanson, which is the same length as otahuhu to britomart. Basically it’s a pretty huge upfront and ongoing costs for a line that’s really only good for serving passengers from two outer suburban station who might be happening to go to Henderson (and don’t mind transferring on the way). I’m not saying rip out the tracks, and not that it might be worth visiting once the CRL is open, but it isn’t at all worth running in the next few years with diesel railcars. It would be a big hit of budget AT doesn’t have, take from somewhere else more worthy, to suit almost nobody. The fact some cheap platforms, old diesel cars and an aged freight line exist “NOW” doesn’t make it a good idea. There’s a platform in Helensville, another in Wellsford, a freight line between them. Shall we start running a commuter service between those to towns just because it is there? As for the old rail development plan, well that was produced seven years ago and a lot has superceed it since. The Auckland Plan for example shows the northwestern busway but no rail service to the rural northwest, while the regional public transport plan shows rail service stopping with the emus at Swanson. Great, most of these will just become slums in the not to distant future. I thought we were for intensification. Sprawl =/ intensification. In fact it’s the complete anithesis. A pretty basic thing to understand if you want to enter into a debate on the topic….. Yes was 1r 30 to Helensville, but that was only the express train. Clearly not possible anymore. Non express was 1hr 12 to Huapai. Electrification time saving will be similar to transfer time so journey time will be similar. Another point is buses are much easier to fix. Yes dreadful on weekends but that service is absolutely awful (change at Westgate then via Royal Heights, Henderson, Rosebank!). And will be hugely improved with new network in a year or 2 anyway. A regular express bus would be very quick on weekends, that could be done with 0 infrastructure. And of course serve lots more destinations. The busway from Westgate to Huapai (as per CFN) will be needed in the near future I feel. SH16 is pretty busy all day – every day now which will have an impact of PT trip times. Geoff, I agree with you. This again shouts loudly that the rail passenger services must be extended to Kumeu/Huapai. Lower cost and infrastructure nearly all in place already. Absolutely no brainer. Yes, for those pushing the busway, it is needed too. Both are needed, but the rail Option is completely feasible to be first off the block and rolling quickly. Looking forward to getting action on this early 2014. How do we apply for SHA housing? As in, to live in some of it? You buy or rent it the same way you buy or rent any other house. Not necessarily. The SHA system is about resource consents for developments, it doesn’t affect the process for the houses produced. Most of the SHA areas are for private developments, and those will presumably be sold at market prices. Some of them may need to provide a certain fraction of “affordable” housing to get resource consent, but there’s multiple ways for developers to comply with that rule, and it doesn’t have to be through a housing organisation. They can just produce some units that are below a certain price and sell them on the open market. A few of the projects do happen to be community or iwi housing, and you’d apply through that provider or through Housing NZ. I don’t know if you can apply specifically for an SHA-area house, though, rather than just for housing in general.